February 9, has got TWD fans counting down. With Walking Dead’s 5th Season only days away, we cant help but to get excited about our favorite character, Glenn. 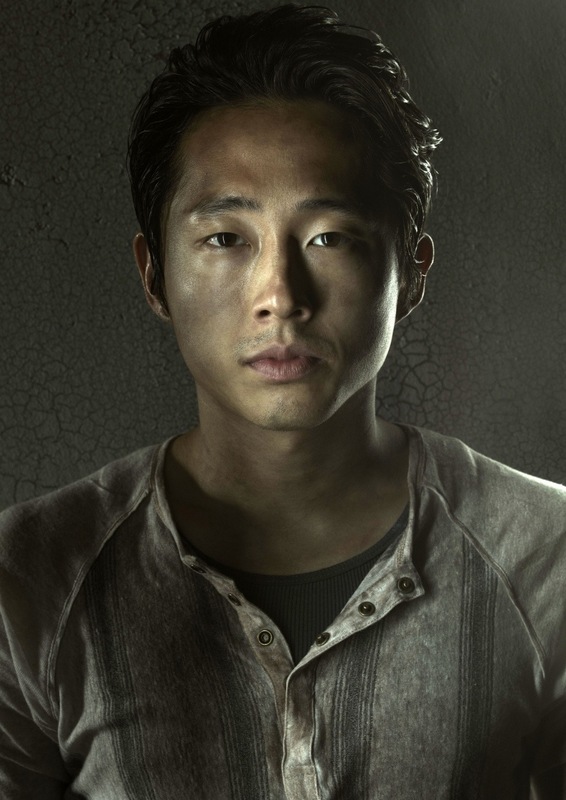 Steven Yeun plays Glenn in the AMC The Walking Dead horror drama. I have to say, AMC does a fantastic job not stereotyping his Asian American character. Glenn doesn’t play the typical computer nerd, or the geek, or foreigner with an accent, he’s just a former pizza boy before the world went to hell. In TWD, Glenn and Maggie share a romantic bi-racial relationship. It’s rare to see an Asian male romantically involved and more seldom sexually involved with a girl thats not Asian on American television. Kudos to AMC! Steven plays a regular dude and the fact that he happens to be Asian, is just the cherry on top. I guess it doesn’t hurt to be named one of the Sexiest Man of 2013 according to People magazine’s annual “Sexiest Man” edition. This should come as no surprise for fans of The Walking Dead. I found this awesome post in Audrey Magazine “10 reasons Glenn would make a great boyfriend” check it out. The video in this post are not mine. Please see people.com for this and more videos. J Drama and K Drama are a big hit in Japan, Korea, Taiwan and in the Asian American Community right here in America! Among the top favorite Asian Drama Series is Hana Yori Dango (meaning Flower before boys in Japanese). This 1992 comic book series became a japanese cartoon series in 1996. In 2001, the first of the Hana Yori Dango T.V. dramas series originated in Taiwan called Meteor Garden. In 2005, Japan made its first Hana Yori Dango T.V. series debut. Gaining much fans and attention around the Asian World. Korea then made its Hana Yori Dango series called Flowers Before Boys in 2009. Becoming an overnight hit, Hana Yori Dango has made Japanese Actors Matsumoto Jun and Shun Oguri and Korean Actors Lee Min Ho and Kim Hyun Joong an icon for young men today. After the Korean broadcast of Hana Yori Dango, “hallyu” (a korean popular wave) among young men wanting to look more trendy like the actors in the drama, including wearing makeup, was noticed in S. Korea. This trend called Flower Boys (young men) or Flower Men (older men) is becoming quite popular. In fact today the fastest growing beauty trend is mens skin care and makeup in S.Korea. According to Good Morning America the Euromonitor International, a global market research firm, says 21% of men’s beauty came from Korea in 2011 and expects to double in the next year. Today, Flower Boys are appealing to the young asian girls. Living in a world of first impressions; being trendy, fashionable and having good looks is a must for these Asian Flower Boys.